Founded in 1866, Towson University’s water infrastructure was due for an upgrade. This fact became apparent when 100 ln ft of 72-in. corrugated metal pipe (CMP) storm culvert collapsed on the Maryland university’s campus grounds. 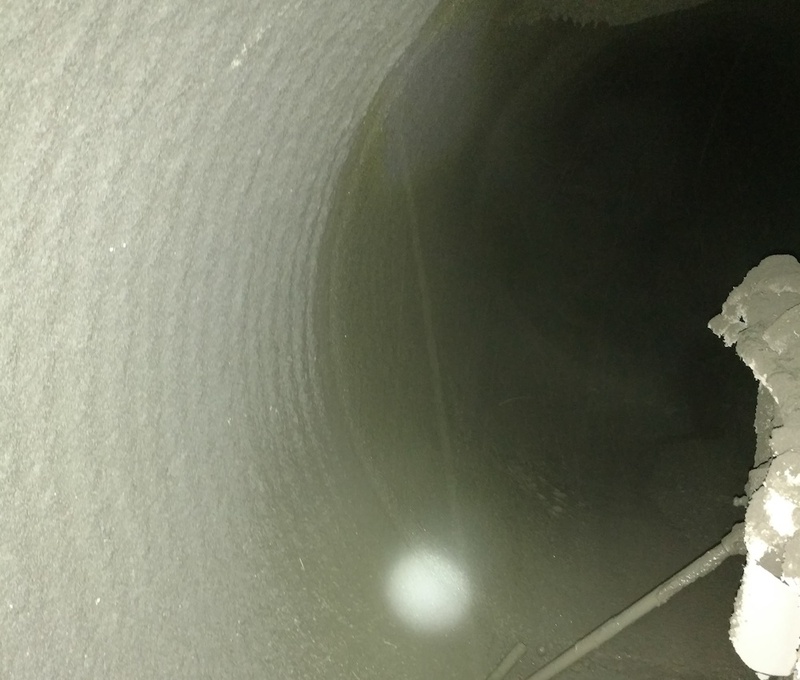 While immediate emergency repairs were needed, long-term repairs were necessary to prevent future incidents, especially after an inspection of a downstream sewer line revealed 900 ln ft of 72-in. CMP and 300 ln ft of 84-in. CMP is poor shape. A portion of the damaged pipe ran approximately 30 ft below the university’s football stadium, Unitas Stadium, rendering a trenchless solution necessary. To further complicate matters, no manhole or other access points were available for approximately 900 ln ft of the 1,200 ln ft project. Other solutions were considered, including sliplining which would reduce the flow capacity of heavily utilized storm pipe and cured-in-place pipe which was considered untenable in the situation. First, invert repair was necessary using a fine aggregate composite concrete, then chemical grouting around pipe joints was performed. Approximately 5,600 gal of two-part structural polymer were pumped into annular space around the deteriorating CMP due to unexpectedly large annular voids. The pipe rehabilitation project at Towson University is one of the first large CCCP projects directly underneath a large building and to impact such a developed urban area. The project successful repaired the deteriorating pipes while maintaining flow capacity of the existing pipe despite challenges. “The team is most proud of the collaboration and installation of a proven, structural, cost-effective solution that best serves Towson’s needs,” Keairns said.